I didn't get in as much writing as I would have liked in June, but for good reason - I took time off for a much needed vacation to the Amangiri Resort & Spa in Utah, also hitting Las Vegas and The Grand Canyon along the way. Dermalogica UltraCalming™ Treatment Kit - I don't usually have sensitive skin, but I found my skin getting irritated by the change in weather and dry environment I found myself in. This travel-size kit helped combat any redness and irritations on my face. The kit includes the UltraCalming™ Cleanser, UltraCalming™ Mist, UltraCalming™ Serum Concentrate, UltraCalming™ Barrier Repair and UltraCalming™ Relief Masque. Retail: $40. 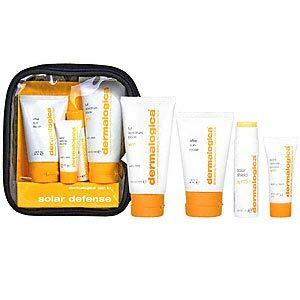 Solar Defense Booster SPF 30 - can be mixed with your moisturizer or foundation or worn alone. Multivitamin BodyBlock SPF 20, a body moisturizing sunscreen that protects from damaging UVA and UVB rays. Solar Shield SPF 15 - Very water resistant (up to 80 minutes) and in the form of a stick, acts as a sunscreen and moisture shield for the lips, ears and nose. After Sun Repair - a treatment balm that helps repair recent UV damage while instantly soothing overexposed skin. A blend of homeopathic herbs reduces irritations, redness and painful sunburn. I'm thinking I should keep this refrigerated when possible, for a more cooling effect. Retail price for the kit is $35. Origins Modern Friction™ - this is a great exfoliator to use 2-3 times a week, leaving skin polished, smooth and luminous. I also love the aromas of Bergamot and Peppermint. Retail: $37.50. Borghese Tinted Lip Plumper in Flamingo Gold - I always carry this lip plumper with me. 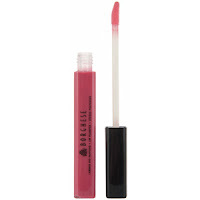 It's non-sticky, has a refreshing tingling sensation and keeps my lips hydrated, smooth and full. It's the everyday lip plumper and gloss! Retail: $31.50. Topricin Foot Therapy Cream - For the most part I was either wearing hiking sneakers or flip flops during my trip, but I did bring a pair of heels with me to wear to dinner or a night out in Vegas. I was told it is a good idea to apply the foot cream before and after putting on my heels and it worked its magic! I noticed I didn't get any foot cramps when I applied the cream. One night I forgot to apply it beforehand, and after I got foot cramps it immediately went away once I applied it. I was so glad I brought some travel size samples with me! Retail: $19.99. WooLoot Wave Sport Watch - I highly recommend this watch for outdoor activities and sports. 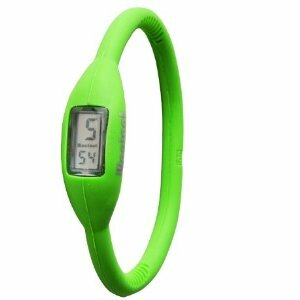 The soft feel natural rubber watch has an LCD screen and is water resistant 3 atm and ultralight at 10g. It comes in multiple colors (I have a green one) in various sizes (I have an XS, which is suitable for teens and petite women) and stretches to go over the hand. It was perfect to wear while hiking! Retail: $19.99. Youth Tagori™ in Grill/Chili color - I had to buy a pair of hiking shoes, and it wasn't easy for shopping for a size 5. I was at Sports Authority and decided to go with a children's shoe size 3 (which is equivalent to a women's size 5). 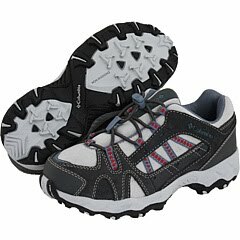 I absolutely loved the Columbia Sportswear pair I found. I like the lace-and-lock system for a secure fit and the nonmarking Omni-Grip® outsoles deliver a solid foundation for the foot. I love the design as well as the trail-specific tread. It was so easy to hike and hold my balance with these shoes on - the grip is amazing! Retail: $40.